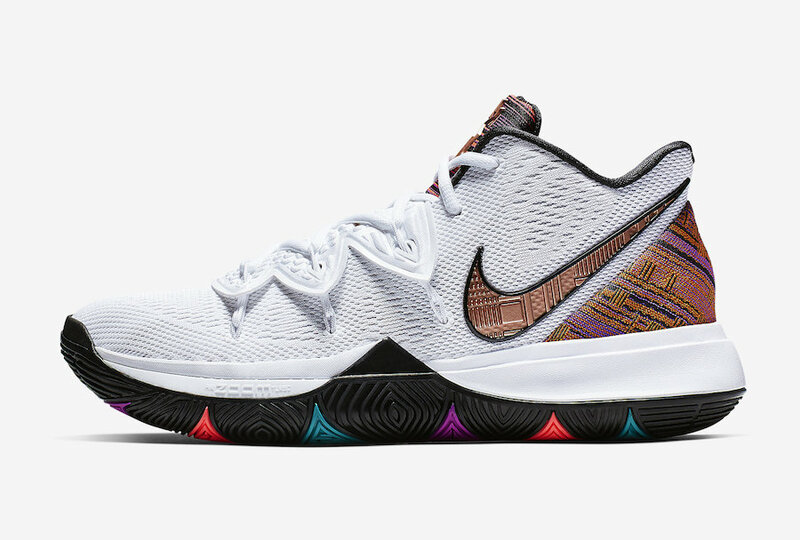 Nike Basketball will release several special edition signature sneakers this Friday, February 1 as part of their annual Black History Month collection. 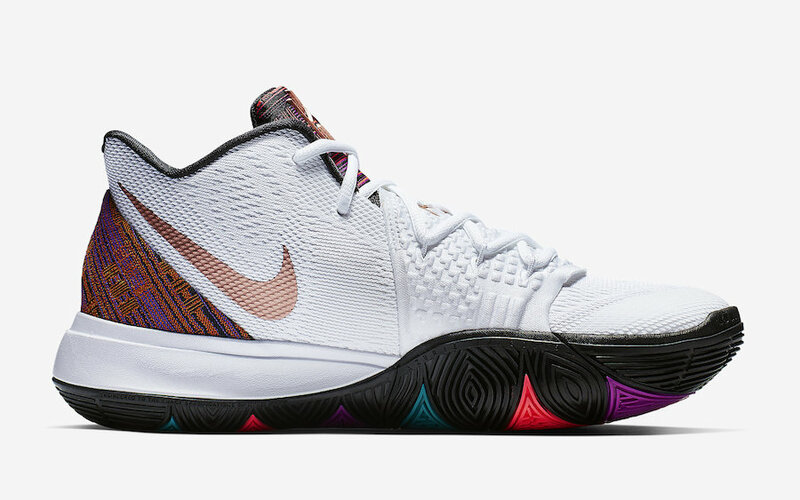 Among the Nike sneakers set to release is the Kyrie 5 "BHM," which might be the best of the bunch. 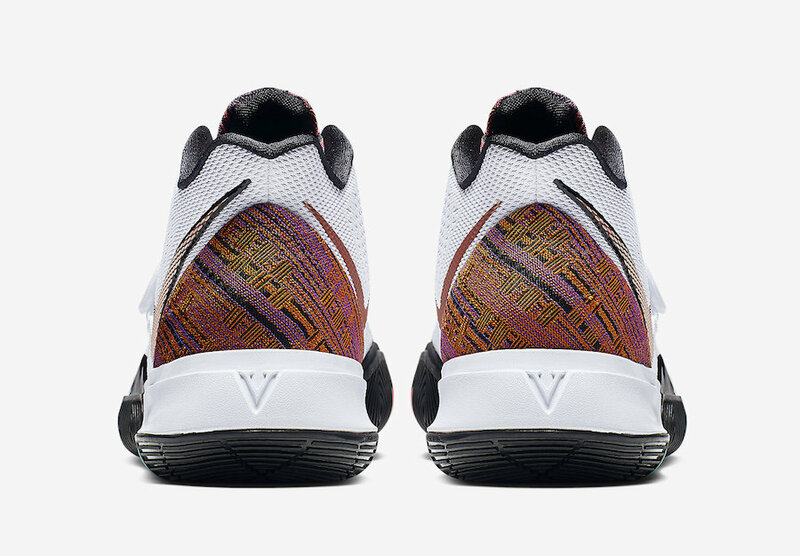 According to Nike, this year's BHM collection was inspired by an assortment of national African patterns, brought together onto modernized prints in a theme of Afro-futurism in sport. 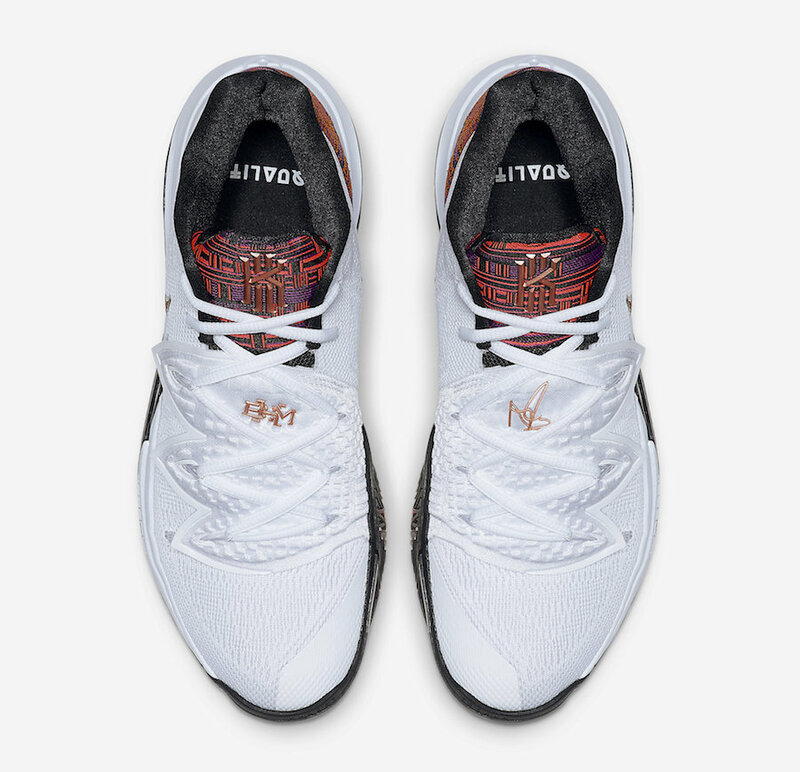 The Kyrie 5 BHM comes equipped with a white mesh upper accompanied by the brand's "Afro-futurism" accents about the heel, tongue and Swoosh. 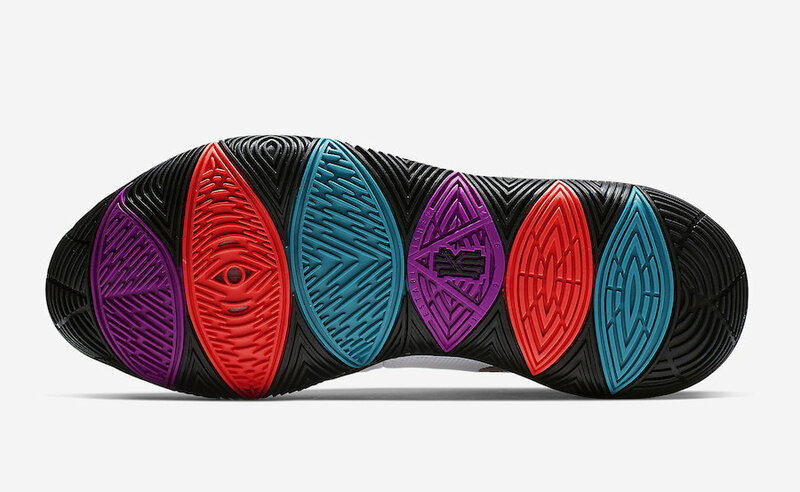 The kicks, retailing for $130, are grounded by a black rubber outsole, complete with hits of teal, red and fuchsia. 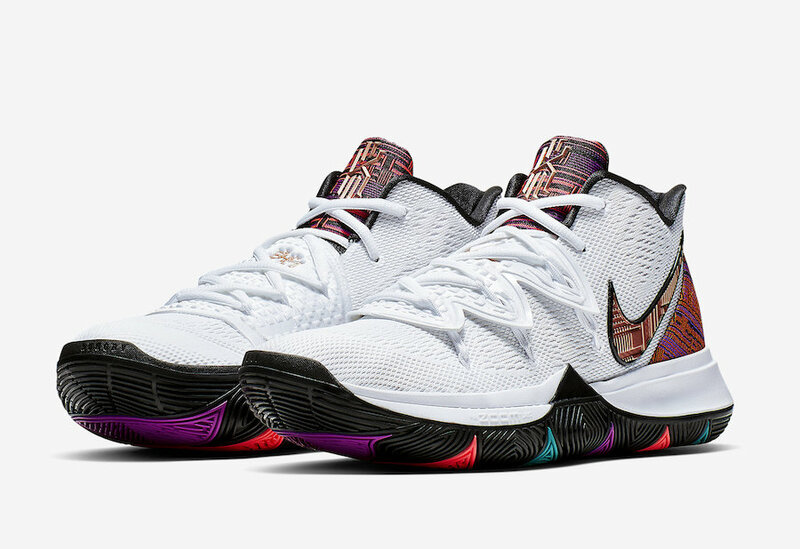 Check out the official images below, and look for them at Nike Basketball retailers everywhere on February 1.